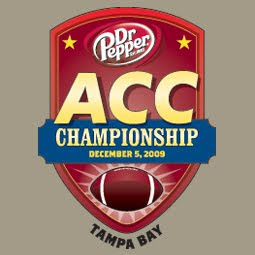 I am making the 8+ hour drive with my friends on Friday to go see our Tigers play in the ACC Championship game and despite not looking forward to the hours spent on I-95, I am thrilled and excited about Saturday -- rain or no rain. I decided to help out my fellow Clemson fans who will also be making the trek and provide some helpful info and links, all in one place, to save you the effort and Google search time. Friday: Showers and a chance of thunderstorms. Highs in the upper 60s. Northeast winds 10 to 20 mph near the coast and north around 10 mph inland. Chance of rain 80 percent. Friday Night: Cloudy with showers likely and a slight chance of thunderstorms. Lows in the upper 50s. East winds 10 to 15 mph near the coast and northeast around 5 mph inland. Chance of rain 70 percent. Saturday: Mostly cloudy. Showers likely and a slight chance of thunderstorms in the morning...then slight chance of showers in the afternoon. Highs in the lower 70s. South winds 10 to 20 mph shifting to the northwest in the afternoon. Chance of rain 60 percent. Saturday Night: Partly cloudy. Slight chance of showers. Lows in the mid 50s near the coast and in the mid 40s inland. Chance of rain 20 percent. Sunday Through Monday Night: Partly cloudy. Highs in the lower 70s. Lows in the lower 60s near the coast and in the lower 50s inland. There will definitely be traffic, so keep up to date on I-95 and I-75 traffic throughout the day and find alternate routes when necessary. You can click a 'Traffic' button on any of the Google maps above to view the flow of traffic (green means flowing, yellow means slow, red means stopped). The Web site http://www.i95exitguide.com/ is great for you SC folks who will take I-95 down - they have helpful information about exits, construction and traffic along I-95 - view traffic maps by city: Jacksonville, Orlando. View Rest Area locations along I-95 in Florida. And look, they have a site for I-75 as well - http://www.i75exitguide.com/. Traffic maps for both Atlanta, Ocala and Tampa. View Rest Area locations along I-75 in Florida. If you get into Tampa in time for dinner (or a late dinner), view a list of Tampa's most popular restaurants. If you get into Tampa sooner or plan to do more than tailgate and see the game, visit this site to see what else there is to do in Tampa. The game will be at the Tampa Bay Buccaneers' Raymond James Stadium - 4201 North Dale Mabry Highway (click here for a map). If you don't plan on driving to the game or your hotel doesn't offer a shuttle to the stadium, check out the public transit system in Tampa - HART - for fares, schedules, and maps. Click here to view a parking lot map for the stadium (NOTE: Not ACC game specific - couldn't find a map anywhere for ACC game). Just talked to customer service (813-350-6500) at Raymond James stadium - lots will open at 4pm. Handicapped parking is available in Lot A and Lot C. The lot costs will be $25. Tents larger than 10' x 10' are not permitted. Since most of us are traveling long distances to get to this game, preparing and packing a bunch of food for tailgating isn't ideal. Publix has some great pre-made platters that would be perfect for tailgates - small deli sandwich plates, chicken finger plates, cheese plates, vege plates, fruit plates, etc. There are a few Publix stores close by to the stadium - swing by and grab a styrofoam cooler, ice, drinks, and a few party platters and you're set to tailgate. Or if you'd rather not worry about food at all, and you'd like to walk to a nearby restaurant, visit Urban Spoon to see the restaurants located around the stadium - and see menus, costs, and ratings. Don't have tickets to the game? Find the best sports bars in Tampa and watch the game there. Game starts at 8 pm. If you're not in Tampa, it will be on ESPN. Make sure you find the right seat. View a seating chart for the ACC game. Question: Will there be alcohol served during the game? Answer: Only for Club Level seats - before the game and during half time. Be sure to stop by your bank and get $2 bills to spend in Tampa - stamp them with a Tiger Paw stamp or draw your own using an orange or purple marker. If you have any other info about the game this weekend or Tampa that you think would be helpful, please post comments to this blog. See everyone in Tampa! Go Tigers!! Y'all make sure to show Tampa what the Tigers are all about!